J&B Boots is Michigan's home fro American Made Boots. Since 1978, J&B Boots has provided the people of Michigan with high quality, American-made boots, from our location in Williamston. We offer great boots at competitive prices, featuring a wide selection of standard and nonstandard sizes. 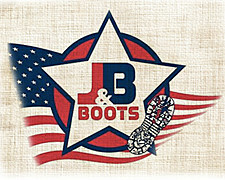 J & B Boots takes pride in providing the best, American-made boots to working folks all over Michigan.